Food | My wife has breast cancer! 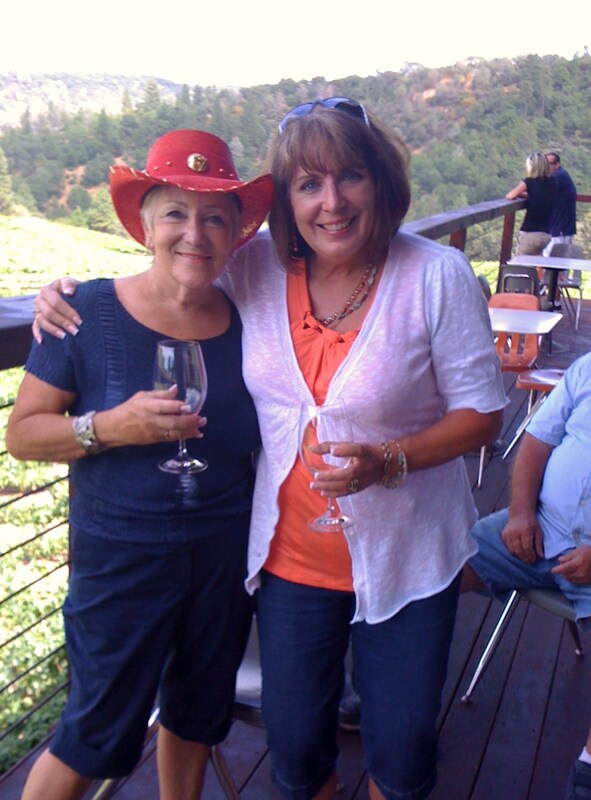 My wife has breast cancer! The writings of a battle fatigued husband! I can’t believe it… I finally did it! “HAIR! HAIR!” That’s what I heard coming from the bathroom the other morning. “HAIR!” Patty had just gotten out of the shower and was drying off when she discovered the newest crop of hair on her legs! (Unfortunately, not too much sprouting on her head.) I do have to say this new crop looked pretty good! Patty hasn’t had to shave her legs ever since the beginning of chemo back in early September but the way this new hair is coming in, she’ll need to pull the ol Gillette Venus triple edge razor out from retirement in no time at all. She also has a whole gaggle of eyelashes coming in! Today marks seven weeks since her final chemo. I’m watching my wife get back to her old self. Her taster is nearly 100%… I said “nearly” because there’s still a few things that have that, as she’d describe, “wallpaper taste and consistency.” She’s so funny to watch when it comes to food. Patty really appreciates food and how good things taste! I guess I’d feel the same if food went from wonderful to crap overnight! I’ve never seen anyone consume so much food and not gain a pound! She’s requesting food that I haven’t prepared in years! She’ll say in such a sweet voice… “Ed… can you make pasta carbonara tonight for dinner?” Or “Sweetie… I’m really in the mood for Orange Chicken!” What? So, those of you who know me know that I know my way around the kitchen. It’s a good thing. I’m reconnecting with my culinary skills that I lost for the past six months. It’s kind of fun. Then we (more like she) ALWAYS has to have some kind of dessert. 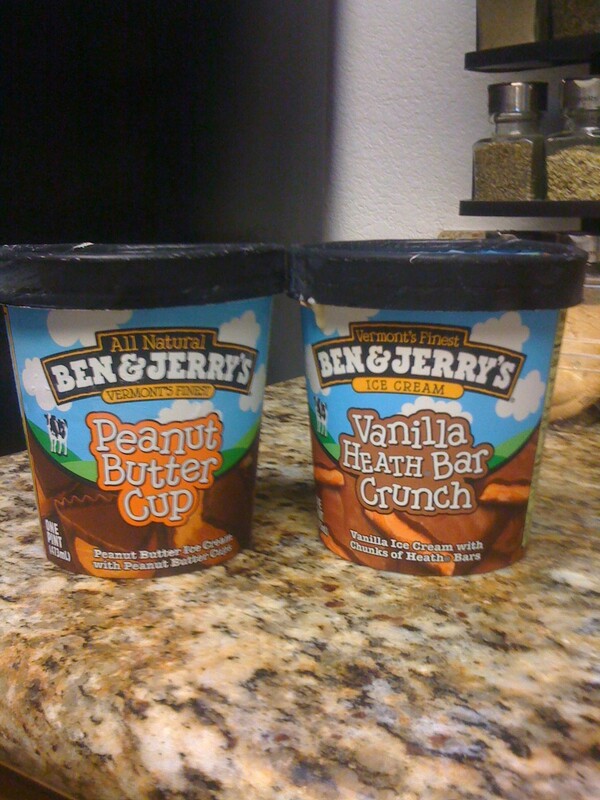 Her taster is telling her to have sweets like Ben and Jerry’s Vanilla Heath Bar Crunch or Peanut Butter Cup! We were at the store earlier and we finished picking up daily necessities… she looked at me and said with so much enthusiasm: “We need cookies for dessert!! 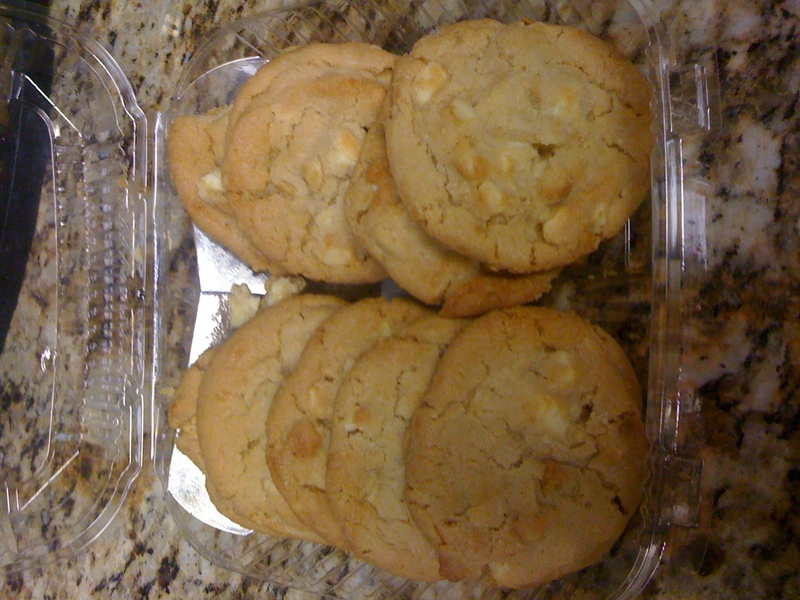 !” So, there they were, the White Chocolate Chip Macadamia Nut cookies! The soft kind that you can’t pass up! And now it’s close to Girl Scout Cookie time… I can only imagine how many boxes she’ll be buying!!! She’s killing me! She doesn’t gain a pound and me on the other hand… lets put it this way, I got dressed for work yesterday morning and discovered my pants were a little “snug!” I’m suffering from post chemo side effects!!! That’s not good. So if you haven’t seen me in a while and notice I may be getting a little wider in the middle… be nice! It’s her fault! I really think the best thing for Patty right now is taking care of Avery during the day. Her day is filled up with this little bundle of joy. She keeps Patty busy, but doesn’t tie her down. Those two have turned into a team. Patty still does her running around, to the store or Jazzercise, and Avery is right with her. Avery also keeps Patty’s mind busy on good things. So, like I said earlier, today is officially 7 weeks since her last chemo. I watch her get stronger everyday. She’s still not 100% and we’ve realized that it’s going to take quite a while to get there. I do notice that she’s losing the “chemo” look. That’s the look where she just looked ill. She’s getting her color back and is beginning to look like my “pre-cancer” wife. Life is getting better day by day, other than my pants feeling a little snug! Chemo part II, coming to a theatre near you! Well today is the day for Patty’s second chemo infusion. Only four more after today. These past three weeks have been a learning experience for both of us. Patty’s been taking notes every day since the last treatment to keep a record of how she was feeling… what foods tasted good to her etc. We have a record, but we’re hearing that the outcome of each treatment is different. We’ll soon find out. Food was an issue during the first two weeks following the last treatment. We’ve read and heard that you’ll have this metalic taste in your mouth following treatment. Patty says that’s not true. She says everything taste like cardboard with a little wallpaper glue aftertaste! Not good at all. She craved certain foods, but nothing tasted good to her. Bread taste the same as meat, which taste the same as broccoli, which taste the same as turkey, which taste the same as Cherios, which taste the same as pasta… then if you add cheese or butter to the mix? It comes out of her mouth as fast as it went in! Not good at all! As long as I’ve known Patty, she’s never been a big fan of rice. Suddenly, rice is her best friend during chemo! Just plain white rice. No butter, no nothng. (Don’t tell her but I make it with either chicken broth or vegetable broth hoping it gives her some nutrients!) It seems to work for her. We did realize that her “taster” slowly came back after two weeks so she’s been eating pretty well this past week. Nauesa? She experience a little nausea during the first couple of weeks. The doctors pump her full of nausea medication the day before, day of and a few days following her infusion. It seemed to get a handle on it. Then if she had any feelings of nausea coming on she had med’s she could take. Overall she did really well. Fatigue? Tons! We found the first three days following her infusion were really good. No fatigue whatsoever. In fact she was on the treadmill those days. But the fourth day??? Wham! It hit and lasted pretty strong for 4 days. I’m sure we can expect the same this time, probably more. The doctor and nurses have said the chemo is a cumulative thing where the side effects lengthen after each infusion. We’ll just have to wait and see. A friend of ours who is currently going through her 2nd round of chemo told us that her first infusion was the worst and subsequent ones have not been bad at all. Everyone is different. Patty had her bloodwork done yesterday. This is to test her white cell count to make sure it’s back up to normal. Chemo has a tendency to kill off white blood cells which are the cells that fight off infection etc. Hopefully those white cells have regenerated. If so, we’re on for chemo today. If not, they’ll have to postpone it for a week. We meet with the Oncologist today at 11:45 a.m. to find out. Hopefully it’s a “Go!” We don’t want to delay any of this chemo. Let’s do it and get it overwith! Chemo is tentatively scheduled for today at 1:00 p.m.
Bottom line… We’ve learned from this last infusion that the side effects are pretty strong for the first two weeks. She’s pretty much back to normal the third week. Not much fatigue, no nausea and food taste good! Overall she is doing well. Just in time to do it all over again! I’ll let you know how things go today! Good new and bad news = Encouraging news!